About 19 years ago I came out as a lesbian, telling my family and friends was mostly smooth sailing except for the couple that I was afraid of disappointing. Even then I was pleasantly surprised at the love and acceptance that I received. My second “coming out” was telling everyone I am an Alcoholic, that has been a more gradual process over the years as it has come up in conversation. Again, most have been loving and supportive, some have had their own baggage around Alcoholism and Addiction which placed a strain on our relationship, but never did I feel rejected or judged. I only lost one friend when she found out, and I never got an explanation for this. My third “coming out” was when I decided to become a single mother by choice and was pregnant with twins. Because of my love for children and desire since childhood to be a Mom, that decision or “coming out” was met with little resistance. Most recently, there has been a long-awaited “coming out,” that has been brewing for 30+ years. “Coming out” as a trauma survivor of childhood sexual assault. This experience has been slow, has been met with kindness and compassion but also many questions of why I didn’t say something before. I’ve done my best to answer that question at the time it was asked but here is my attempt to give it the time and attention it deserves. In each of the above situations, I needed to have a moment where I faced my truth. I had to trust that I wasn’t like most of my friends and was interested in women. Then I had to look at my drinking and see the truth that it was destroying all aspects of my life. Once I knew who I was and had sobered up enough, I saw the reality of what was missing in my life. 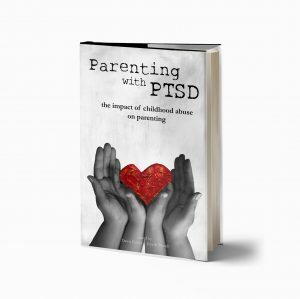 Then when the dust settled from having children, and my mind/body was ready; I started facing the truth of my trauma. There have been many theories, articles written and experts opinions of why survivors of sexual abuse or assault do not tell. There’s the shame, self-blame, fear of not being believed, fear of being re-victimized and the list goes on. I have had ALL of those and more. However, the one barrier for me that I haven’t seen in all the articles is the issue of my truth. How can I tell others the story of my trauma or come out as a survivor if I haven’t developed an awareness of that truth for myself? I can’t tell a story I don’t know. This is not an easy concept to explain, and I am sure other survivors have experienced it. However, to tell a non-survivor that we need to know the event(s) that happened can be confusing. I have had more than one person look at me with bewilderment. What happened for me is that over time some of the incidents of my childhood and adolescent trauma became memories which I couldn’t access. The ones I could access played more like stories in my head that I was detached from. This is how I survived and was able to accomplish all that I have. When I was able to re-access those memories, they also played like stories until I owned them and faced the truth of my trauma. Now they belong to me, and I can share what is mine. Not all survivors go through this process. Some reach out to family and authorities right after the traumatic incident. Some choose never to share their experience for the reasons listed above. Others prefer a mix of sharing with a few close people and never telling anyone else. For me, secrets make me sick, and I need to not only be sharing with others but working to help others who are on the same journey. So again, I couldn’t share my truth with others until I faced my truth first and I’m so grateful that I have.